Babylonian Talmud. Sulzbach,1766. Folio, in 12 volumes. Longforgan Collection. In celebration of the public lecture on The Bible and the Mishnah by Professor Shaye J D Cohen, Harvard University on Tuesday 5 May, we currently have Jewish texts from our Special Collections on display in New College Library. This Babylonian Talmud is part of the Longforgan Free Church Ministers Library, an extremely well preserved example of a Manse library which came to New College in the 1960s. It is currently being catalogued as part of the Funk Donation projects. As well as this 12 volume Babylonian Talmud, works by Maimonides and Isaac ben Jacob Alfasi ha-Cohen are evidence of the importance of Hebrew scholarship to the Scottish Church. This image is from Maimonides’s commentary on the Mishnah which was one of the first to be published. It is part of the the Dalman-Christie Collection, which was transferred to New College Library in 1946 from the Church of Scotland Hospice in Jerusalem. This collection was recently catalogued as part of the Funk Donation Projects. 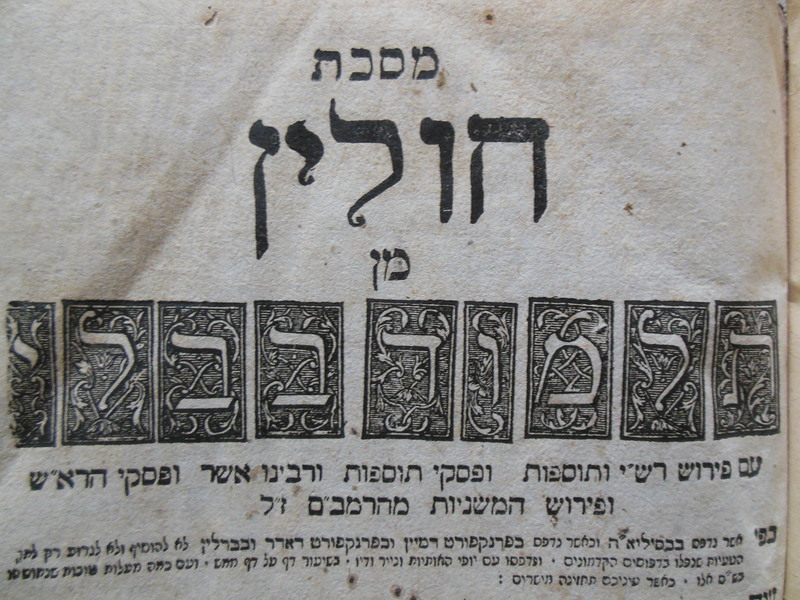 This is the frontispiece from one of the volumes in this six volume set of the Mishnah with text in Hebrew and Latin. It also contains commentaries of Maimonides and Bertinoro in Latin. New College Library holds copies in both the Dalman-Christie and the Longforgan Collections. 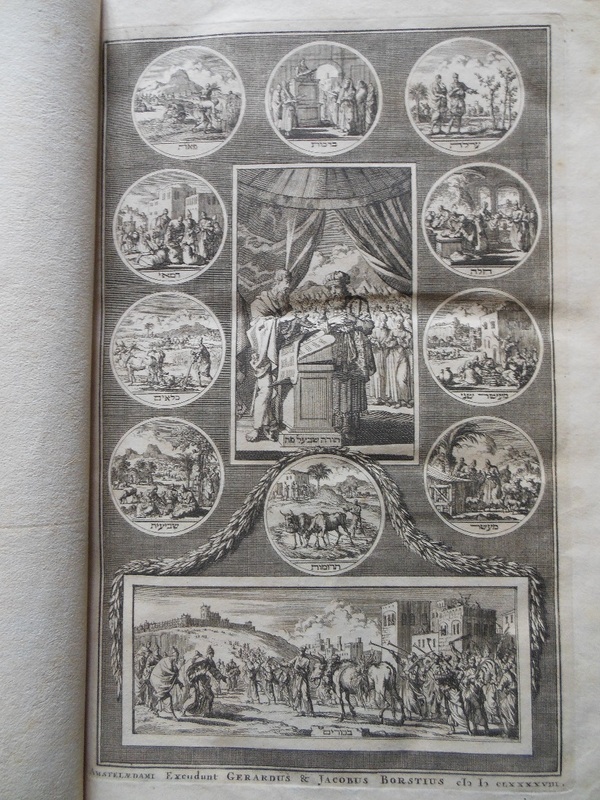 This entry was posted in Library and tagged Dalman-Christie, Divinity, eighteenth-century, Funk, Hebrew, Jewish, Longforgan, new college library, rare books, seventeenth-century, sixteenth-century by cloverodgers. Bookmark the permalink.